November 12 is Journée Nationale Maoré, a holiday in the Comoros connected with the history of the Union of the Comoros, particularly the relations between the Comoros and France. The Union of the Comoros consists of three islands – Grande Comore, Mohéli and Anjouan, while Mayotte (Maoré) is an island in the Comoros archipelago. In 1843 France installed its administration in Mayotte and soon the other three islands also became its colony. A national referendum on the independence of the Comoros was held in 1974. The population of three islands voted for it, while Mayotte voted against. 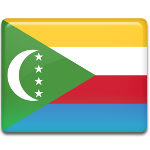 The Comoros declared independence from France on July 6, 1975 as a union of three islands. On November 12, 1975 all four islands were admitted to the United Nations. Despite this fact the island of Mayotte is a French overseas department and region. European nations, as well as the people of Comoros, condemn France and its presence in Mayotte. In 2005 the member countries of the European Union declared November 12 to be Journée Nationale Maoré (Maoré National Day) as one of the ways to fight against the presence of France on the island. In 2006 Comoros declared it an official holiday on all three islands.